The Octagon’s return to primetime television is just around the corner, and what better way to build up the anticipation than to examine the card’s betting odds? “UFC on FOX: Evans vs. Davis” takes place January 28th inside the United Center in Chicago, Illinois. 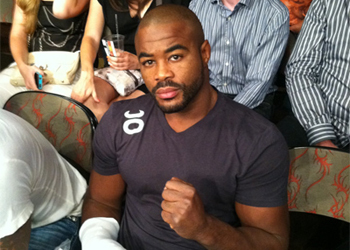 A light heavyweight scrap between Rashad Evans and Phil Davis headlines the festivities. Evans is a slight -160 favorite to hand “Mr. Wonderful” his first professional blemish, while Davis is pegged just behind as a +130 underdog.